Synopsis: Best friends since they could walk. 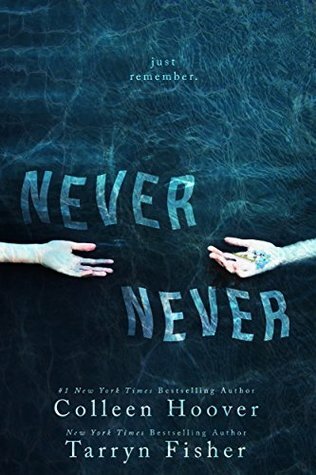 Review: Since I discovered Colleen Hoover, I became a huge fan of her novels and I’m always very curious to get into each new story. I confess that I didn’t know about Tarryn Fisher but how not to succumb to this book written by two hands? I admit that I was really curious and eager to discover what the two women would present. The novel is very different from what I thought. For me, it was some short complete stories… but in fact we are actually left with an episode that leaves us at the end of the story with a desire for more even if we have to be patient. Yes, this first part plants the decor, trying to lay the foundations while our answers may finally arrive later. Yes, because we have so many questions but everything remains unanswered and the end finally brings us new questions. We can read the story quickly and we try to understand why Charlie and Silas don’t have any memories, who they are and how they are going to interact with the others. We thus find them in several confusing situations and where our characters do not know what to do and it’s true that the whole story is a bit complicated to really unravel. As always the writing style is mastered and we are carried away even though it’s still a bit frustrating. It was intriguing and I confess that I wish I had the answers to my question as soon as possible but I’m waiting for the second novel with curiosity! I still need to try CoHo’s work. So many readers love her books. You have me curious about why they don’t remember and what is going on. I want to read this serial, too. But Tarryn Fisher intimidates me! I feel like I’m going to be in a world of hurt every time I see one of her books. Lol. Glad you enjoyed this one, Melliane! I was really excited about this when it first came out because it is from two on my favorite authors but then the reviews came in for it and they were just so so . I put it on hold because of them but now I want to pick it up again and see for myself what it is all about. I need to try out one of her books (Hoover)!! This one always caught my eye, is it a three part story? I can’t remember fully. I’ve never read this author but you have me intrigued now. I so need to start reading this author. This looks very interesting and I do think I’ll have to see if they have it at my library! I bought the first installment, but then I didn’t read it because it got such mixed reviews and I found it was a serial. Now you have me curious. I need to read this, especially since I have been reading Hoover lately. I did hear/read that their tandem writing is awesomesauce! I know I have the first part, I do love serials too so maybe soon. I’ve read one book by Colleen Hoover, and it was a wonderful read, but so emotionally draining. The thought of picking up another is so daunting. I hadn’t heard of this one until recently, but that tagline gets me every time and now I really want to check it out. I still need to read something by Colleen! Glad you enjoyed this one overall. I have this, and you renewed my interest in reading it! Hmm! Not sure I’m up for a read like this at present but its certainly one I’ll make a note of as I know my friend has enjoyed this author in the past if not so much recently. the book I read from her last was a miss, but there are 2 on my radar that I know people loved so I should be trying…hopefully. Im glad to hear you are enjoying this one. I think these are the short episode type ones? I forgot what those books called. OMG what happened???????? I kinda wanna read this to know what went so wrong!